According to the FAA, loss of control is the leading cause of fatal general aviation accidents, with one fatal aviation accident involving loss of control happening every four days. Loss of control occurs when the aircraft unintentionally departs from controlled flight, and may quickly develop into a stall or spin. Accidents caused by loss of control may happen in any stage of flight, but some in instances these accidents are preventable. Here’s a closer look at some of the factors that may contribute to loss of control. Distractions interfere with a pilot’s situational awareness and risk assessment abilities, which in turn can lead to dangerous loss of control incidents. Cockpit distractions such as loud passengers, extra electronic devices, or unnecessary radio conversations can prevent pilots from giving their full attention to each phase of flight. Impairment doesn’t only refer to the use of illegal drugs or alcohol before or during flight. Some over-the-counter medications, prescribed medications, and fatigue can also cause impairment and contribute to loss of control accidents. Never fly if you have recently consumed alcohol, or if you are sleep deprived, jittery, or are using illegal drugs. Finally, be sure to inform anyone prescribing medication for you that you’re a pilot, and tell your aviation health examiner about any medication you are prescribed. Today’s technology enables pilots to prepare for in-flight weather conditions like never before. Beyond getting a weather briefing before taking off, most pilots use ADS-B on their smartphone or tablet receiver in their plane to monitor the weather conditions in real-time. It’s always wise to plan an alternate route for every flight and trust your instincts when making the go/no-go decision. While loss of control accidents aren’t limited to inexperienced pilots, those without adequate training or education may fail to recognize the warning signs of an impending stall or spin. Pilots of all ability levels should make an effort to pursue training and maintain currency to ensure they’re well-prepared to use recovery techniques before (or after) the airplane stalls. Loss of control accidents are almost always related to pilot error. 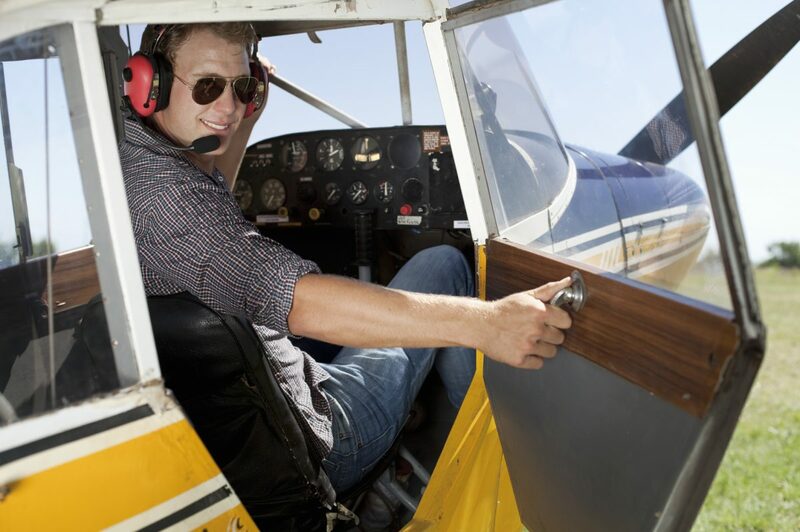 By taking advantage of flight training and educational opportunities, general aviation pilots may help prevent dangerous loss of control accidents and keep the skies safe for everyone.